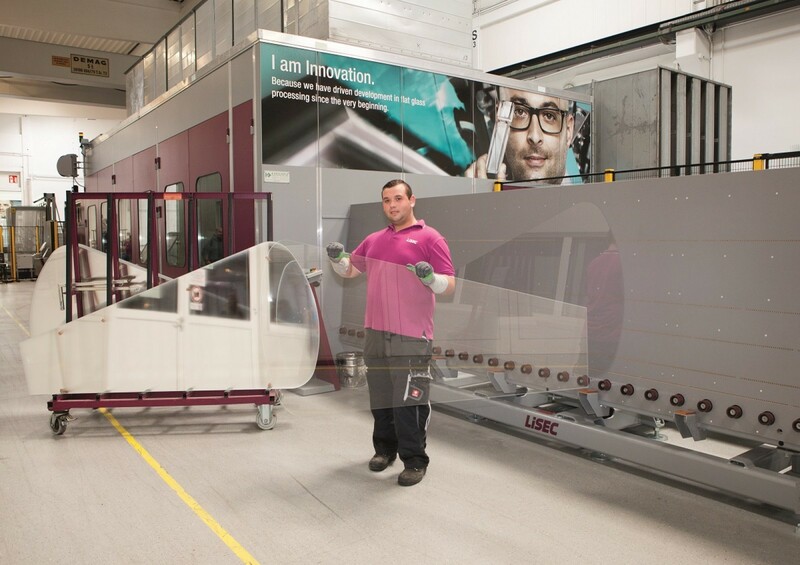 The Glass Forum contains the glass-processing branch of the LiSEC Group. The 70-members team processes economically flat glass and thus builds up its machine manufacturing expertise. 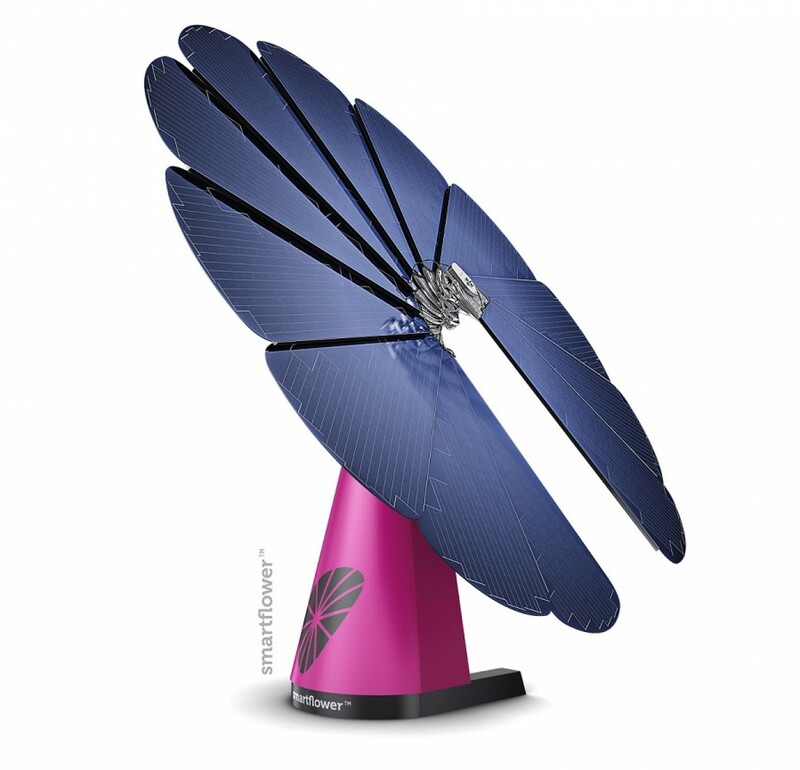 Among its orders are truly interesting projects, for example, manufacture of the ‘petals’ of the smartflower. 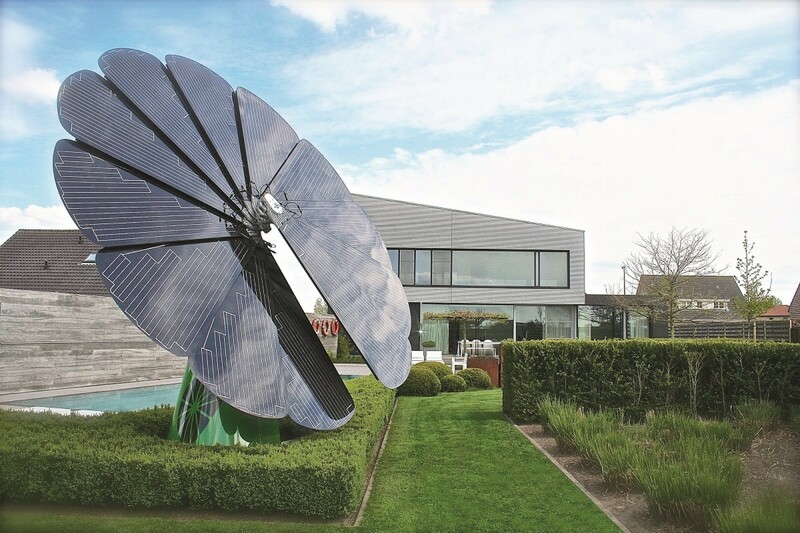 The smartflower is an invention and product of the Austrian business firm smartflower energy technology GmbH and is the first all-in-one autonomous energy source in the world: In the morning, the smartflower orients its large 18 m² solar module surfaces to the rising sun fully automatically and immediately begins to generate electric currents. It is fitted with a 2-axis solar tracker, so the ‘petals’ follow the sun over the course of the day. The capacity of a smartflower is about 3,400 – 6,200 kWh per year depending on the region; thus one station generates the entire average power consumption of a household in central Europe. Depending on the product, the generated electric current can either be supplied to a power net or directly stored and used locally. According to the manufacturer, the (storage) system reaches a degree of private use of up to 100 % (for comparison: a rooftop installation attains an average of only 30 %) and holds the power supply steadier than with a static rooftop installation. Smartflowers are intended for private households, but also for communes, shopping centres, companies, hotels and gastronomy. Each smartflower consists of twelve petals. At first glance, one such petal does not appear to be anything spectacular. Andreas Winter, Managing Director of Glass Forum: “No manufacturer dared to produce this; we are the only glass processor in the world who accepted this job.” Each petal is 2.1 metres long and has a diameter of 1.2 metres. Winter: “The petals consist of two millimeters thin white glass. Each piece of glass is given a C-cut, after which it is tempered.” And this combination is exactly why this production technology is unparalleled.